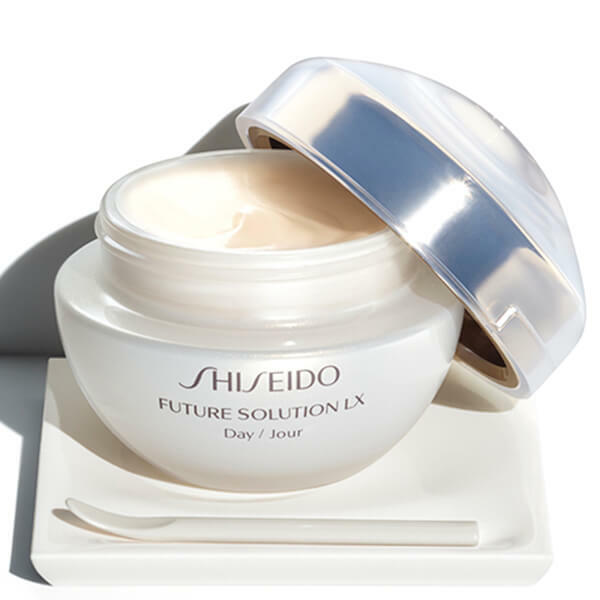 Protect your skin from the main causes of ageing with Shiseido Future Solution LX Total Protective Day Cream. 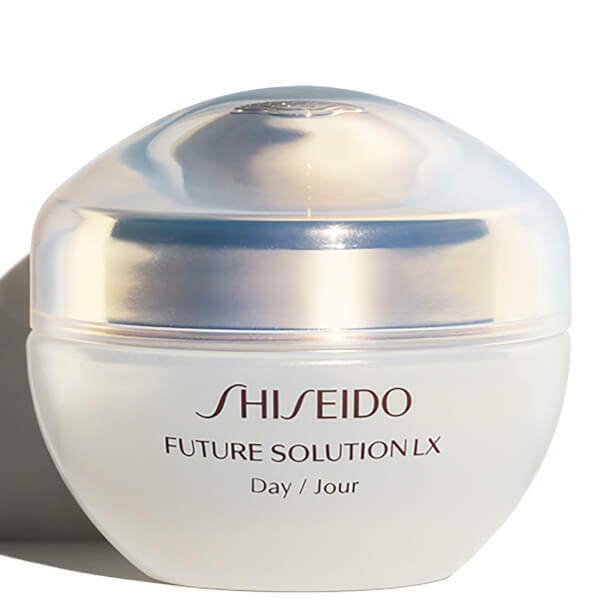 The rich moisturiser forms a defence against cellular damage caused by harmful UV rays, and helps reduce the appearance of wrinkles and sagging. The nourishing formula prevents the skin from drying out, as well as providing the perfect base for makeup. The result is a radiant, healthy complexion that lasts all day. Massage into skin each morning after cleansing. Key Ingredients: Skingenecell 1P (a proprietary ingredient that moisturizes and strengthens the skin barrier); Yeast Extract (cell activity booster); Star Fruit and Okra Extracts (collagen boosters); Green Tea Extract (Antioxidant); Ensulizole, Octinoxate, and Octocrylene (Sunscreens); Glycerin (Moisturiser).